Invisalign cost is a variable and there is no single right answer. So, how much is invisalign? Well, to get a good idea of cost we need to know about the case. It all comes back to how badly you really need braces, your age and your genetics. Of course you already know this but the real trick to invisalign cost is in the treatment. Tulsa decided not to embrace her “natural look” and fixed her crowded teeth. Crowding is a natural phenomenon with teeth as the molars tend forward pushing all of the other teeth together until there is no more room. The teeth then begin to twist and move on top of other teeth. Her new look must come from her British Swag. A deep bite in this case is when the bottom teeth are covered by the top ones. A more technical explanation would talk about how the upper and lower teeth are upright or angled inward but we’ll just say the bite is too deep and the jaw closes too far since the other teeth have shifted to allow this. You’ve heard it all your life, “thumb sucking can damage your smile.” Well, here are the results of an extreme habit. Both thumb sucking and “tongue thrusting” or pushing on the teeth with the tongue can form this case. It’s amazing how the human body adapts to its circumstances. 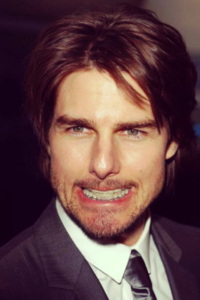 Tom Cruise had cross-bite fixed in 2002. A cross-bite is when the jaw doesn’t line up straight up and down. You can see the lower jaw off to one side and the teeth find a comfortable resting spot there. 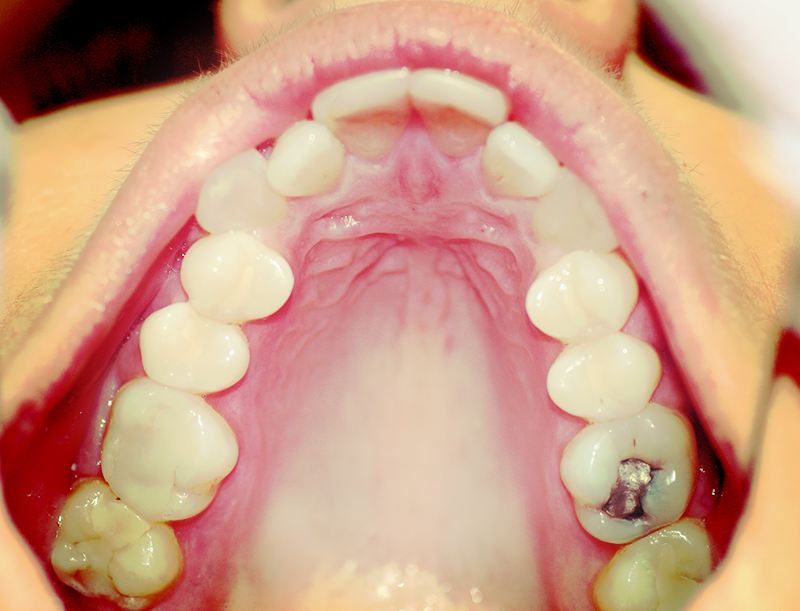 This can happen to front teeth or back teeth. The front teeth are much easier to treat with invisalign and new advances in aligner technology are enabling the use of elastics to treat these cases. While we have Tom Cruise here, let’s talk about midline discrepancy. This is where the top front teeth have gone one direction and the bottom front teeth have shifted the other way. Neither of your arches are centred and we have to pull the midline back into the middle. It sounds very similar to a cross-bite, but in this situation the teeth have actually shifted to either side and not just the jaw/bite. Take scissors for an example, that is a cross-bite, top on one side, bottom on the other side coming down and resting side by side. This is a more triangular shaped arch. The arch, or the shape your teeth make, should look like a wide “U” shape. Narrower arches can make your whole face look different and you will be amazed by the results from invisalign visible in your entire face. A brighter, wider smile is usually how people describe it. Next time your dentist friend mentions a “Class 2”, you’ll know they just mean overbite. The top teeth protrude further than the lower teeth leaving a gap between the teeth when the jaw is closed. This can be useful for drinking through a straw with your mouth closed and ventriloquistic activities. Emma Stone is showing off her signature class II at a press conference for The Amazing Spider-Man 2. Were you able to guess it? Underbite. 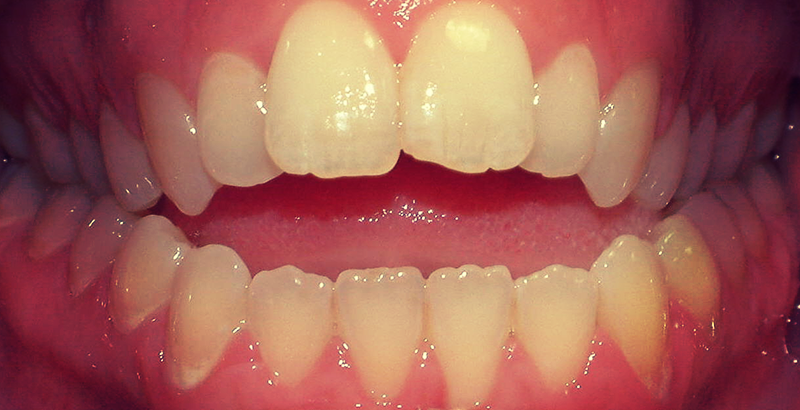 Class III is your classic underbite where the lower teeth protrude further than the uppers. This could be a “quick fix” where just the teeth are involved, or it could be a lengthy treatment involving surgery to set the jaw properly. A lot of these cases involve a jutting lower jaw that is very prominent. Having the jaw altered can have quite a stunning effect on the face allowing for a more natural look without such a prominent chin. While we’re on the subject, some invisalign cases need a surgical procedure to move the lower jaw either forward or backward. Other cases might involve surgical widening of the arch. Invisalign technology has teamed up with dental professionals like Dr. Hoyt to help your specific circumstance. Rest assured that years of training and experience have gone into the ability to make your smile perfect. In some cases an extraction is either necessary to make room to straighten the teeth or a tooth has already been extracted for other reasons. Invisalign is available for these situations and able to be used to straighten the teeth in extraction cases. So how does all of this factor into the cost of invisalign? Well, for starters, invisalign is only available through dental professionals. They (meaning invisalign®) charge lab fees to create the aligners, or clear plastic trays, and process the cases. Consider the lab fee the base fee. A dentist must then do an initial consultation where they gather the necessary data for your case (impressions, photos, general information). Then they spend time behind the scenes (at the dinner table) inputting your data, evaluating the best possible movement of each tooth for the desired outcome, using software tools to send the necessary information to invisalign®. You will then be meeting with your dentist periodically for progress checks and tray fitment to progress through the treatment. So the base fee, or lab fee, for the dentist is anywhere from $1599-$1749. Add the dentist’s time and expertise to that figure and you’re at about the same cost as doing normal braces. There are some obvious benefits to invisalign over braces but that’s why you’re reading this. Treatment can last anywhere from 6-12 months depending on the case. This is a great option for shorter-duration treatment and is mainly for minor crowding or spacing (see above). The longer invisalign Express 10 is a 6 month treatment for very minor cases and the shorter invisalign express 5 is a 2.5 month treatment. Forgot to wear your retainers? This is probably the choice for you (assuming you didn’t forget ever since you had braces in elementary school…) The costs for invisalign Express are slightly lower than the full-blown treatment and can save you quite a bit of money if you are not in need of a major overhaul. Invisalign tends to run specials on these products as well so make sure you ask your provider about it. The invisalign Teen treatment is meant to replace the typical braces treatment that adolescents face. The replacement aligners and wisdom tooth eruption compensation are built into the treatment and it typically lasts 12-18 months. The cost from the lab is around $1650. Since of course teens probably will have less motivation to wear some plastic 24/7 there are also compliance indicators built right in that help track the patient’s wear time and give parents some added reassurance. You can bookmark this page and send it to them whenever they’re having trouble finding the motivation. Just remember that once you get invisalign®, you need to wear your retainer every night for the rest of your life unless you want to keep paying for treatment. The easiest way to maintain a beautiful, healthy smile is through prevention. Don’t forget to check out whitening specials as well, nothing sets off a beautiful smile like a little whitening.